If you have red , swollen gums that bleed when you brush them, this is a sign of a type of gum disease, gingivitis. If gingivitis is left untreated it may develop further into a type of infection known as periodontitis, and this affects the entire area surrounding the tooth which will cause discomfort and difficulty when eating. 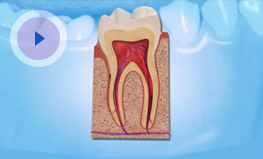 Eventually this kind of infection can lead to tooth loss and may require more detailed procedures to replace the missing tooth. The great news is, this can be avoided by attending regular hygiene check-ups at Dental fx and maintaining a good daily hygiene routine. Brushing between your teeth, flossing and replacing your toothbrush every three months will all help your gum health. We have three hygienists at Dental fx who are all committed to providing the highest quality care. Why not give the Practice a call today on 0141 931 5533 and make an appointment to see one of the hygienists who will be only too happy to discuss any concerns you may have regarding your gums. The benefits of regular hygiene visits are that it will minimise the risk of tooth loss, can reduce the risk of developing tooth decay and also ensure fresh breath.